President Donald Trump on Thursday said he was canceling a planned meeting with Russian President Vladimir Putin during the Group of 20 summit in Buenos Aires this weekend in response to a clash between Russia and Ukraine on the Black Sea. 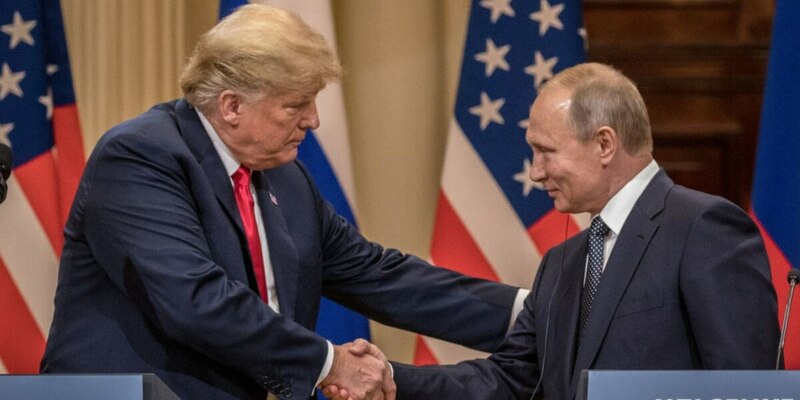 “Based on the fact that the ships and sailors have not been returned to Ukraine from Russia, I have decided it would be best for all parties concerned to cancel my previously scheduled meeting in Argentina with President Vladimir Putin,” Trump said in a series of tweets. “I look forward to a meaningful Summit again as soon as this situation is resolved!” he added. While Trump had previously suggested the meeting might not happen, Moscow said earlier on Thursday that Putin and Trump were set to meet Saturday in the Argentine capital amid the summit of leaders from the world’s 20 largest economies. It would've been the first meeting between the two leaders since the met face-to-face in Finland with only their translators present in July. The cancellation comes in response to a violent incident on Sunday near the Kerch Strait, which separates the Black Sea from the Sea of Azov. During the encounter, Russian ships blocked, rammed, and eventually opened fire on a group of Ukrainian ships that were attempting to sail into the Sea of Azov, where two of Ukraine’s major ports are located. Citing terrorism concerns, Russia has increased security patrols around the Kerch Strait and has detained Ukrainian ships in the past. It has also at times shut the strait completely. Kiev has accused Moscow of militarizing the area and of harassment, while the Kremlin has said it is defending its territory and guarding against threats. Several Ukrainian sailors were wounded in the incident, which ended with Russian seizing the Ukrainian ships and the 24 sailors, who remain in captivity. Kiev on Monday declared marital law in several regions of Ukraine, including areas controlled by Russian-backed separatists.